(AP) NEW YORK - Manchester United plans to become a listed company on the New York Stock Exchange after filing with the U.S. government to raise $100 million from selling shares in the club. The American Glazer family, which bought the club in 2005, would retain control over the club through Class B shares, which would have 10 times the voting power of the shares that would be sold to the public. Under the reorganization, the team would become a wholly-owned subsidiary of Manchester United Ltd., a newly formed holding company based in the Cayman Islands. The record 19-time English champions filed their registration statement to hold an initial public offering of stock with the Securities and Exchange Commission on Tuesday. While the stock price and the number of shares were not listed, the registration statement said the club hoped to raise a maximum of $100 million. The team was listed on the London Stock Exchange from 1991 until June 2005, when Glazer completed a leveraged buyout valued at $1.47 billion. Glazer also owns the NFL's Tampa Bay Buccaneers. United has been looking to raise funds to help reduce debts from the 2005 takeover that were $663 million as of March 31. A $1 billion offering on the Singapore stock market was pursued last year, but the plans were halted due to volatile global markets. The team, European champions in 1968, 1999 and 2009, was valued at $2.24 billion by Forbes magazine in April, ranking it as football's most valuable club for the eighth year in a row. 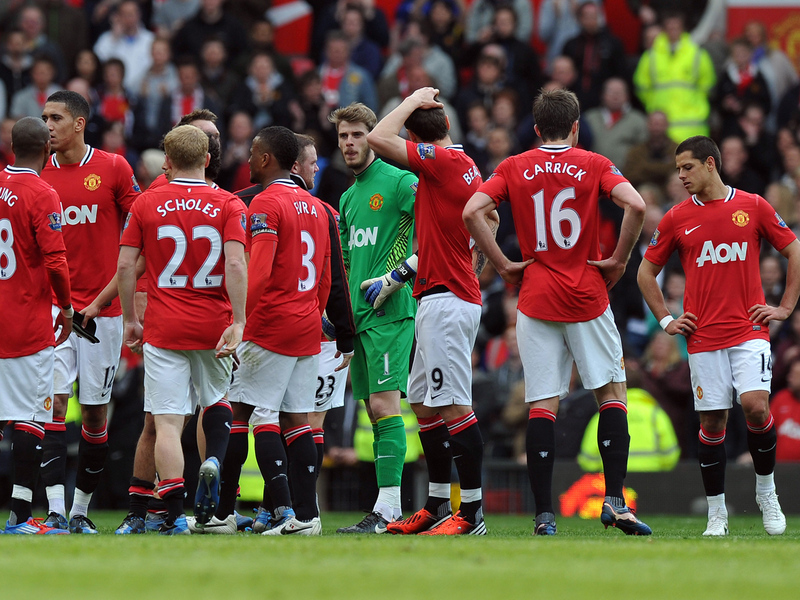 United was on track for its 20th league title this year, taking an eight-point lead in the final weeks of the season. But crosstown rival Manchester City, which became football's biggest spender following its purchase by Sheik Mansour bin Zayed bin Sultan Al Nahyan of the United Arab Emirates, won the title on goal difference on the final day of the season. United said that it had a loss from continuing operations of $47.5 million in the year ending June 30, 2009, then had profits of $13 million and $13.3 million in the following two years. It said it had a profit of $38.2 million in the nine months ending March 31. Some warnings were included in the filing, with the team saying "our indebtedness could adversely affect our financial health and competitive position" and reduce "the availability of our cash flow to fund the hiring and retention of players and coaching staff." United also warns that new UEFA spending restrictions "could negatively affect our business." Under "financial fair play" rules, clubs have to break even or risk being excluded from European competitions from 2014. Several other English Premier League teams have U.S. owners, including Arsenal (controlled by Stan Kroenke), Liverpool (by the parent company of the Boston Red Sox), Aston Villa (Randy Lerner) and Sunderland (Ellis Short). Managers of the United offering are Jefferies & Co. Inc., Credit Suisse Securities (USA) LLC, J.P. Morgan Securities LLC, BofA Merrill Lynch and Deutsche Bank Securities Inc.